NewYork-Presbyterian provides world-renowned cardiovascular care for adults and children with heart diseases and disorders. We welcome and successfully treat some of the most complex cases in the world. In fact, many patients who cannot be helped elsewhere come here for our expertise. According to U.S. News & World Report, NewYork-Presbyterian has the #1 rated heart program in New York State and the #3 rated heart program in the country. 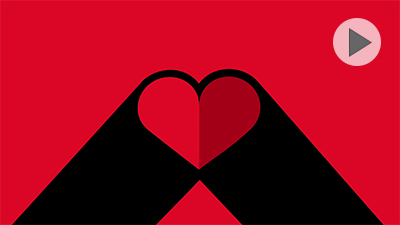 Our cardiologists and heart surgeons are among the best in the world for heart care. Our doctors use advanced imaging such as magnetic resonance imaging (MRI), computed tomographic (CT) angiography, and 3D echocardiography to assess how the heart looks and works. NewYork-Presbyterian is home to one of the few centers in the northeastern United States that offers cardiac positron emission tomography (PET). This advanced nuclear imaging technology measures blood flow to the heart with greater resolution and one-tenth the radiation of conventional nuclear stress testing. Surgery. Some patients with atrial fibrillation have minimally invasive Maze surgery to interrupt the electrical impulses causing an abnormal heart rhythm. Our surgeons perform this procedure with great success. They sometimes use a robotic approach. Our cardiologists, interventional cardiologists, and heart surgeons are exceptionally skilled in the care of people with coronary artery disease. We treat some of the highest-risk and most complex patients, including people over age 80, those with other medical problems, and patients with very few treatment options. Our interventional cardiologists achieve excellent results performing balloon angioplasty and stent insertion to open clogged heart arteries and restore blood flow. If you need coronary artery bypass surgery, our heart surgeons are national leaders in this technique. You may be able to have the operation through small incisions (minimally invasive or robotic surgery); “off-pump” surgery, which does not require a heart-lung machine; or hybrid heart surgery, which combines bypass surgery with interventional techniques. Our surgeons are among the most experienced in the country performing minimally invasive and robotic heart operations. An aortic aneurysm is a bulging or weakening of the wall of your aorta—the major artery leaving your heart. 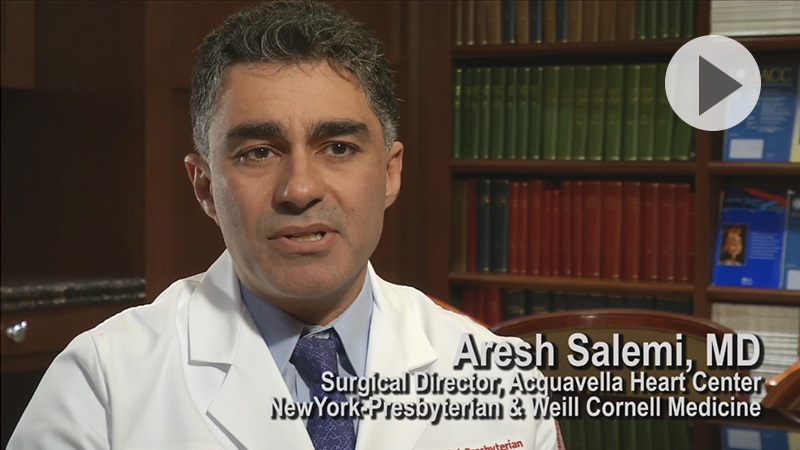 A rupture or tear (aortic dissection) of the aorta can be life-threatening, so proper care at a medical center like NewYork-Presbyterian can be life-saving. People come to us for our extensive experience repairing aneurysms of the entire aorta. We offer the full range of treatments, including minimally invasive endovascular stent grafts for thoracic, thoracoabdominal, and abdominal aortic aneurysms and dissections. Our surgeons have extensive experience with traditional open surgery to repair aortic aneurysms and dissections. They have achieved outcomes that are among the best in the nation. Not everyone with an aortic aneurysm needs surgery right away. We evaluate you carefully and determine the best time to do your surgery to enhance its success and avoid operating too soon. TAVR: We have the most experience in the nation with transcatheter aortic valve replacement (TAVR), a minimally invasive treatment for aortic valve disease. Nearly half of the interventional cardiologists who perform TAVR in this country were trained by our specialists. Mitral Valve Repair: With increasing evidence that mitral valve repair is better than replacement, the surgical treatment of mitral valve disease is becoming more of a specialty operation that is best performed at academic medical centers such as NewYork-Presbyterian. 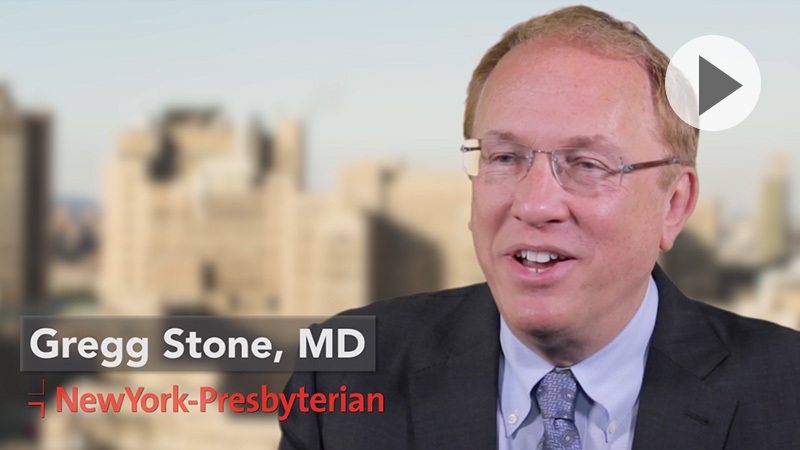 For more than 25 years, NewYork-Presbyterian has been a pioneer in mechanical support for people with advanced heart failure. Our Mechanical Circulatory Support Program has been helping patients benefit from ventricular assist devices (VADs)—which pump blood for a weak heart—since 1990. Our surgeons have played an integral role in the development of many groundbreaking devices, and perform one to two VAD implantations each week—one of the largest volumes nationwide—with survival rates that exceed the national average. To overcome long waiting lists for donor organs and other limitations, we have spearheaded an international effort to develop VADs that provide mechanical support for failing hearts. The Heart Transplantation Program is one of the largest and most experienced in the nation. NewYork-Presbyterian has performed more heart transplants than any other hospital in the country: more than 2,500 adult and pediatric heart transplants since 1971. Our survival rates consistently meet or exceed the national average. Our transplant teams are especially experienced caring for people with serious, high-risk conditions. NewYork-Presbyterian has one of the few programs in the country with the expertise to care for the most complex cases of adult congenital heart disease. We have extraordinary experience performing heart surgery and other treatments for adults with congenital heart disease who were initially treated as children, as well as those who were diagnosed later in their lives—many of whom come to us from around the world. We also have programs for people with special needs, such as pregnant women with congenital heart disease. 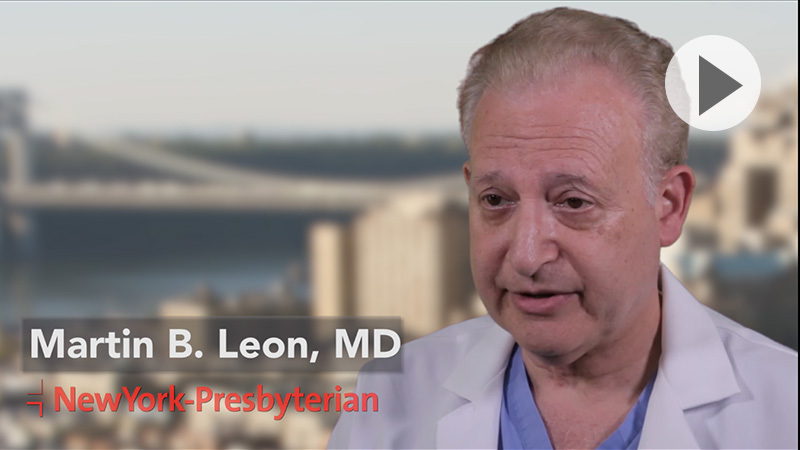 NewYork-Presbyterian’s integrated Congenital Heart Center is one of the largest and most preeminent pediatric cardiology and cardiac surgery centers in the nation. Our patients come to us from across the country and around the world to seek the most advanced, safest, and proven treatments for congenital heart conditions. Our outcomes are among the best in the nation.